There are currently 38 player remaining in Event #16. The top 15 places will be paid, and this event will play through level 20 tonight, and resume tomorrow for Day 2 at noon. Players are currently playing level 15 (1,200/2,400 blinds with a 400 ante). There were a total of 135 entries into today's $500 No Limit Hold Em Big Stack Freezeout Event. The remaining two players have come to a chop deal. They will chop the money evenly, and Daniel Pabon will take the trophy. Joseph Gigante is all in, and Daniel Pabon has called. The board runs out [kd][5c][3c][6d][9s]. Pabon's queen high will take it, and Gigante is eliminated in 3rd place, paying $3,178. Tom M. raises to 70,000 on the button. 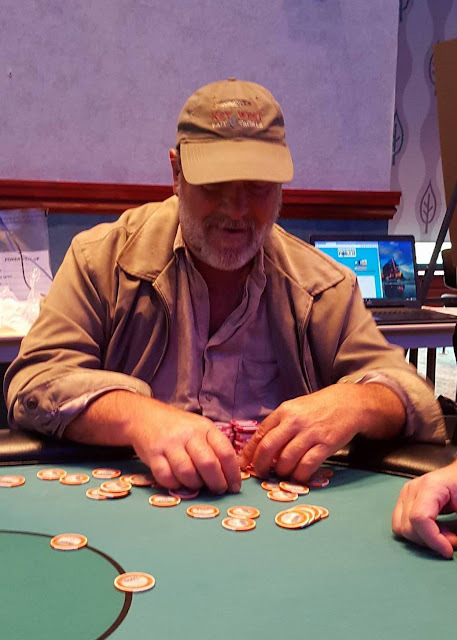 Gerald Aiello throws his remaining 25,000 into the middle from the big blind. The board runs out [js][jh][10c][4h][6h]. Tom M's ace high will take the pot, eliminating Aiello in 4th place. 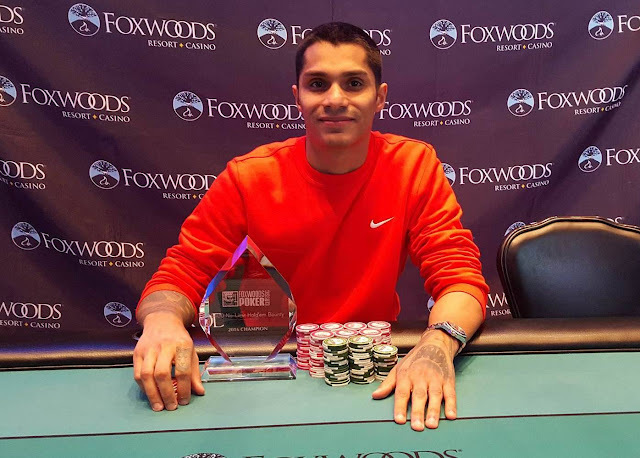 Daniel Pabon shoves all in, and Joseph Gigante calls in the small blind. Tom M. goes to muck his cards and accidentlaly exposes [8s][7d]. "You got me with this hand last time," Gigante says to Pabon. The board runs out [7h][jh][3s][8h][9c]. Pabon's fours hold up and he is awarded a full double. Tom M. raises to 70,000 on the button. The small blind folds. "How much?" Gerald Aiello asks. Upon hearing the 70,000 total, Aiello smooth calls, leaving himself only 40,000 behind. 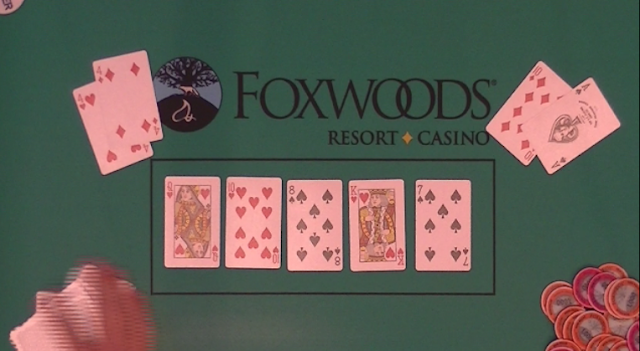 When the flop comes [ah][js][6c], Aiello asks, "My turn?" The dealer nods, and Aiello puts his remaining 40,000 in chips into the middle. Tom M. quickly calls. 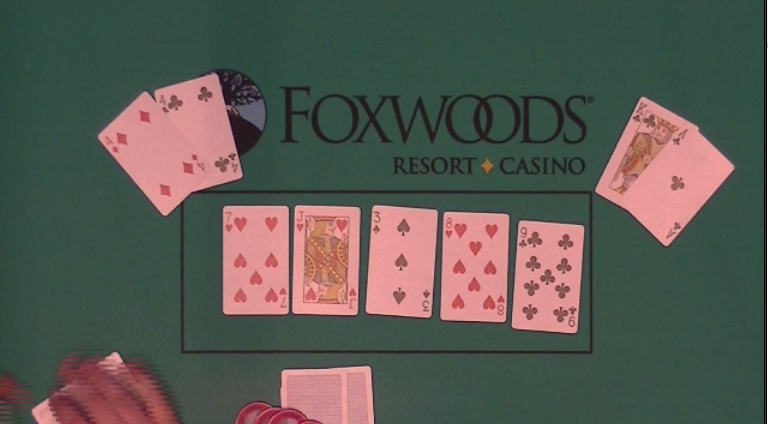 The [jd] comes on the turn, and the [2c] on the river, awarding Aiello a full double up. The final four players are just returning from a 15 minute break. They will soon begin playing level 26 (15,000/30,000 blinds with a 5,000 ante). On a board reading [kh][9s][2c][4d][7s], Joseph Gigante checks in the small blind and Tom M. shoves all in for nearly 300,000 (the pot is around 300,000 at this point). Gigante goes into the tank for over five minutes. Eventually he called the clock on himself. The floor gave him a 60 second countdown, and with only five seconds remaining, Gigante announces a call. "Set of niens," M says as he turns over [9h][9c]. Gigante shows [kd][qd] for top pair, saying to M, "Very nice hand." After taking down Event #14 last night, Joseph Germain is back in action in today's Event #16. After his win last night he said that he planned on going back to back, and he is currently positioning himself to do just that. There is a three way all in and Joseph Germain has the other two players covered. Germain is holding [ac][kd] against his opponents' pocket queens and ace-jack. The board runs out [5d][5s][2h][3c][kc]. Germain's pair of kings will take the pot, and both of his opponents are eliminated from play. Germain is now sitting with 95,000 in chips, and one of the largest stacks in the room. There are currently 109 players remaining in Event #16. They are playing level 8 (250/500 blinds with a 75 ante). Anyone wishing to enter the tournament must do so by then start of level 9. 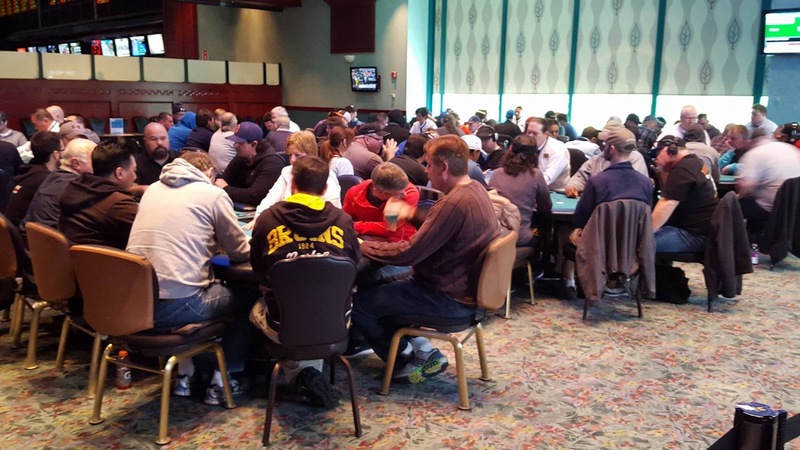 There were a total of 59 entries into today's $300 7-Card Stud Event. Joseph Gigante limps in under the gun, and Daniel Pabon shoves all in on the button. Joseph Abbate calls in the small blind for less, and Gigante also calls. The board runs out [qs][6d][2h][3c][7c]. 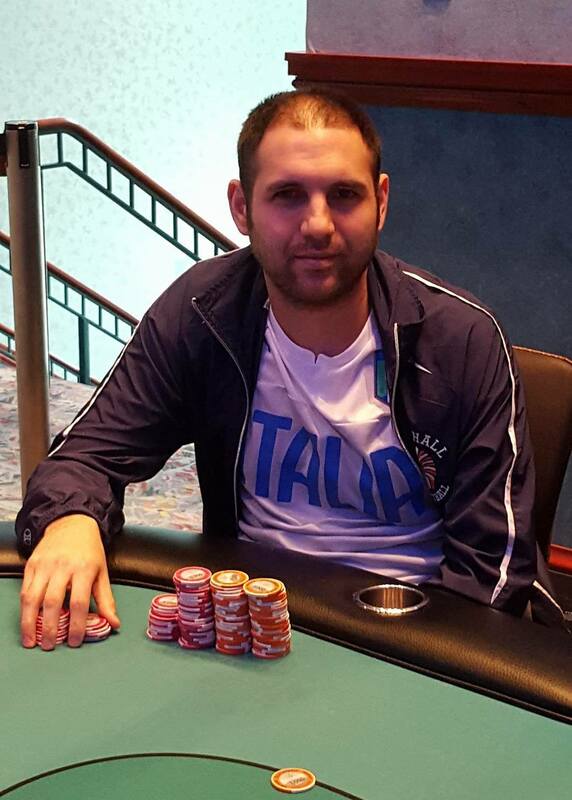 Pabon is awarded nearly a triple up, and Abbate is eliminated in 5th place, taking home $1,794. David Brown shoves all in and, Tom M. calls. The flop comes [qh][jc][6c], giving Brown top pair, but also giving Tom M. the flush draw. Then [2c] on the turn brings the flush, and the [ah] comes on the river. David Brown limps in under the gun, and Tom M. also limps in from the hijack. 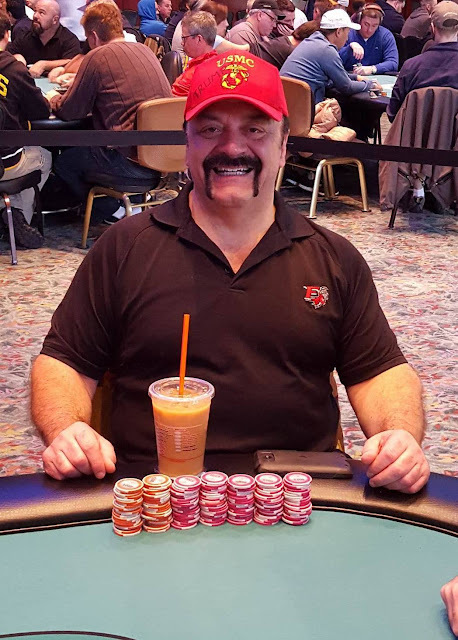 Gerald Aiello makes it 35,000 on the button, and both players calls. All three check the [jd][10c][6c] flop. Brown checks the [4d] turn, and Tom M. bets 40,000. Aiello thinks for a moment before releasing his hand, and Brown raises to 95,000. Tom M. calls. When the river comes the [qc], Brown shoves all in and Tom M. goes into the tank. After three minutes, Tom M. calls. "Two pair," Tom M. says as he turns over [qd][10s]. Brown shows [3d][3s] for a pair of threes. "Very nice call, I didn't think you could make it," Brown says to Tom M.. He replies, "Neither did I." On a board reading [8s][4h][2h], Hector Pena shoves all in from the small blind. 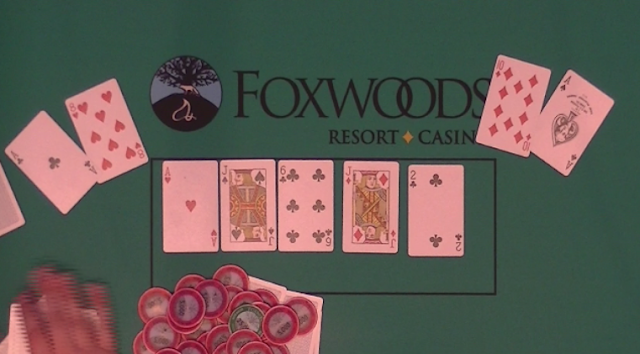 It folds around to Daniel Pabon in the cutoff who throws in a chip to call. The [10d] comes on the turn, and the [jc] on the river. Pena is eliminated in 7th place, taking home $1,179. 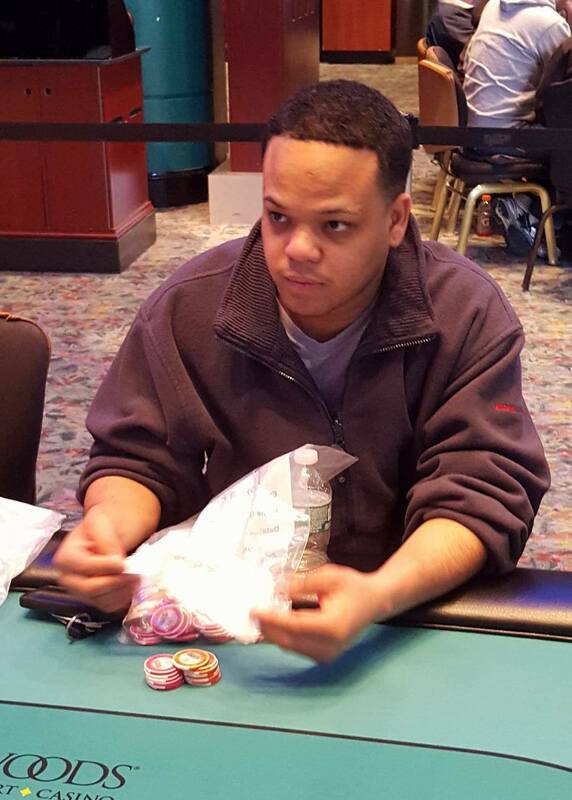 After arriving nearly an hour late for Day 2 play, Welther Marmol is left with only 25,000 in chips. Action folds to him in the hijack and he shoves all in. Joseph Abbate calls in the small blind. "You would have something like that," Marmol says as he see's Abbate's cards. Fortunately for Marmol, the board runs out clean, [5h][8d][2s][10c][7d], and he is awarded a full double up. Joseph Gigante limps in from early position, and David Brown makes it 40,000 in middle position. 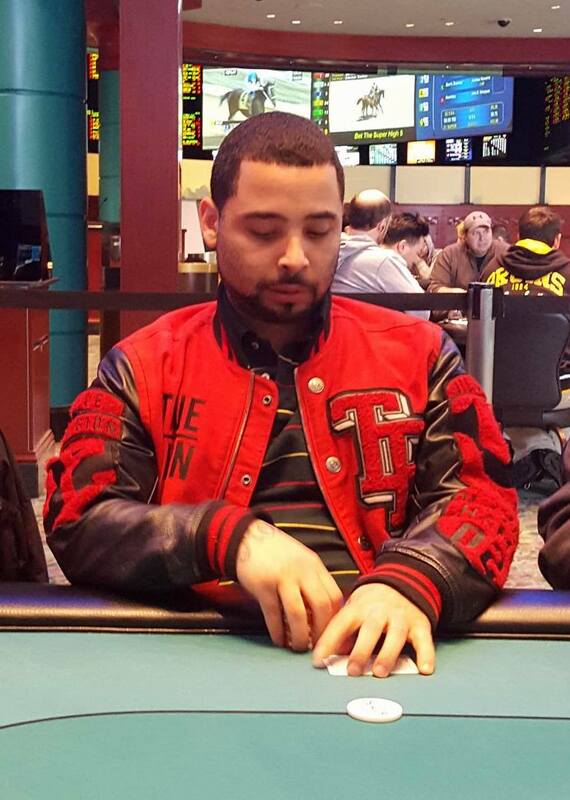 Action folds to Daniel Pabon who shoves all in for 134,000. Gigante folds, and Brown calls says, "I just have a small pair," as he turns over [4h][4d]. Pabon shows [as][10d]. The board runs out [qh][10h][8s][kh][7s], awarding Pabon a full double. On a board reading [jd][10c][7h][qs][3c], David Brown checks in the small blind, and Tom M. shoves all in for 74,000 in the big blind. Joseph Gigante tanks for a minute before hesitantly folding on the button, and Brown calls. Brown turns over [qd][2h], and Tom M. shows [qc][8s]. The dealer says, "Eight will play." Brown jokingly says, "Just barely." The $300 7-Card Stud event is now under way. We currently have 39 runners. Anyone wishing to enter this tournament has until the start of level 4 to do so (all levels last 30 minutes). 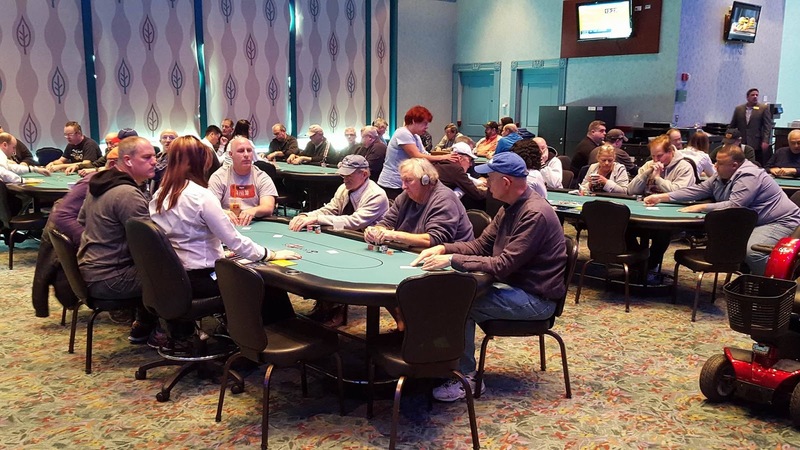 There are currently 82 runners in today's $50,000 guaranteed $500 No Limit Hold Em Big Stack Freezeout Event. These players all started with 30,000 in chips, and the first 12 levels will last 30 minutes, with levels 13+ lasting 40 minutes. Anyone wishing to enter has until the start of level 9 to do so. 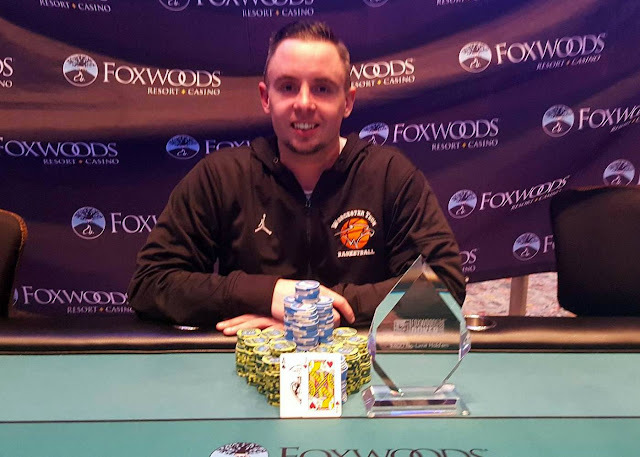 After the last hand of the night, Joseph Germain is declared the winner of Event #14, taking $17,000 and the $5,000 PPC Aruba prize package. John Gilmartin shoves all in on and Joseph Germain quickly calls. The board runs out [ad][5h][8c][qs][4h]. Gilmartin is eliminated in 2nd place, taking home $15,750, and Joseph Germain wins Event #14, and the $5,000 Aruba PPC prize package! 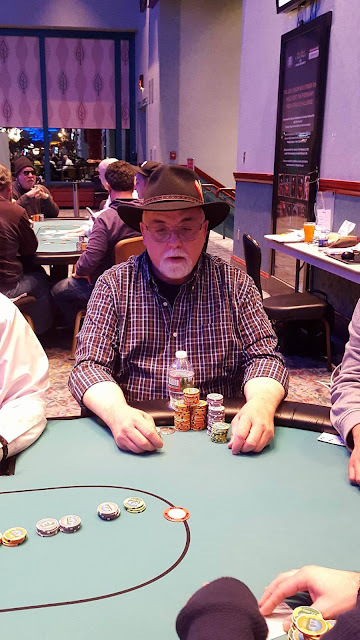 Action folds to Joseph Germain who raises to 280,000 in the small blind. 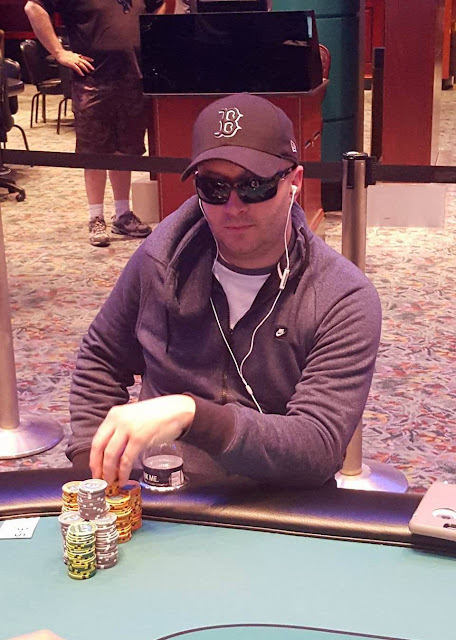 Jason Wyllie pauses for a moment in the big blind, before announcing that he is all in. Germain quickly calls. "Let's try this again," Germain says. 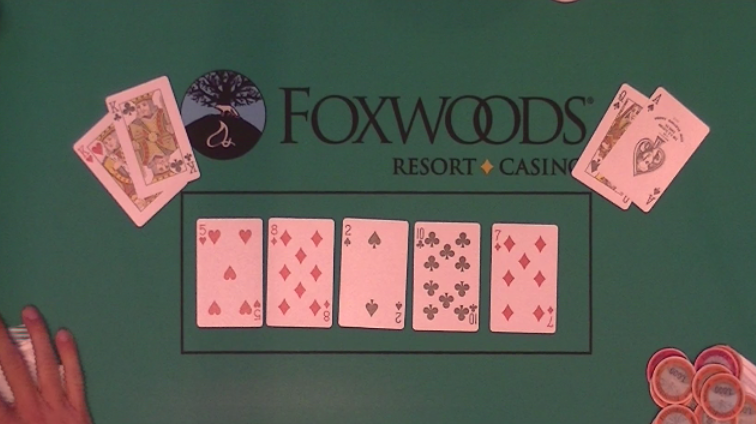 The flop comes [qd][8s][3s], giving Germain the lead. The [qh] on the turn pushes that lead even further. 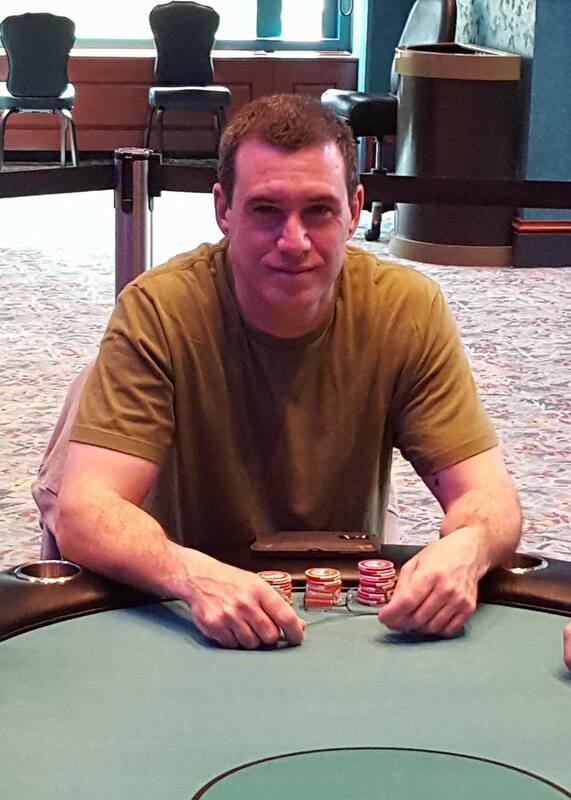 The [4s] comes on the river, and Wyllie is eliminated in 3rd place, taking home $10,750.